Brussels, London (dpo) - With Great Britain obviously being unable to execute its exit from the European Union in an orderly manner within the planned two years, the other Member States have now decided to take a different, more straightforward route: They want to carry out a so-called EUxit. This is how the EUxit works: Right on time for the actual Brexit deadline on March 29, 2019, all EU members except Great Britain will conjointly leave the EU and then found a new confederation of states. The EU will then only consist of Great Britain. 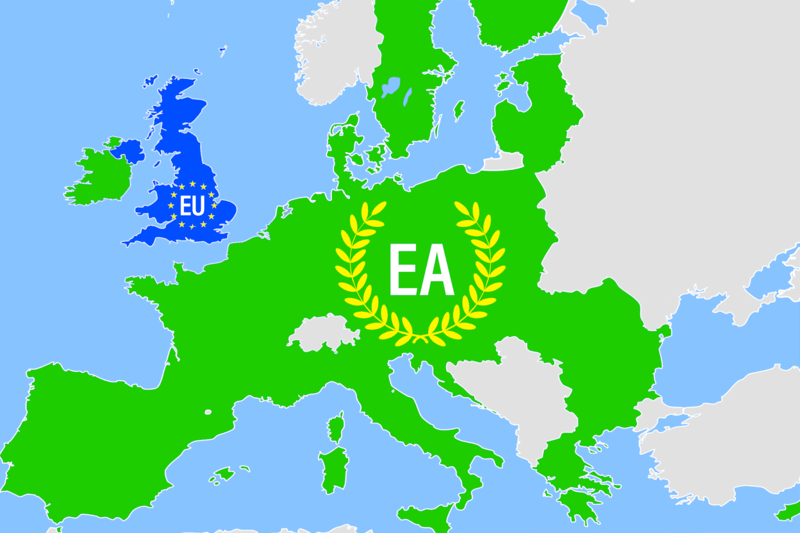 The other states will form the European Alliance (EA), which will function exactly the same as the EU except for the new name. “This back and forth with Great Britain is paralysing our institutions and must finally come to an end,” justifies EU Commission President and designated EA Commission President Jean-Claude Juncker the drastic measure. “And if that's the only possibility to make a clean cut, then we'll do it like that.” He promised, however, that the EA would strive to maintain good relations with the EU. Should the British still want to leave the EU after EUxit as the only remaining EU state, this should not be a major hurdle. At least then, they could negotiate extremely favourable exit conditions with themselves, without having to expect resistance from Brussels.